At Master Craftsman Studio I focus on creating works of art with glass and granite. I have been working on a process of transferring images onto granite by sandblasting them. This is one of the many techniques that I have learned during my internship. The staff is extremely knowledgeable and friendly and will teach you nearly any process that you desire to learn and every process that you must know. I have reinforced my woodshop skills that I previously learned as an art student, as well as learned how to operate other wood related machinery. 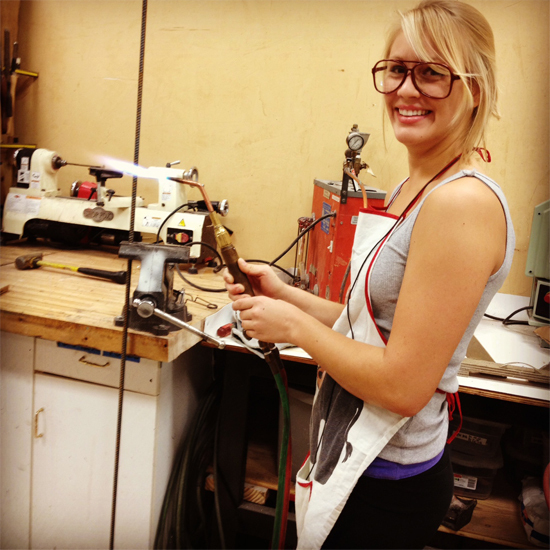 I have learned how to use everything from a basic power drill to a glass kiln. One of the biggest challenges I face everyday is the fear of messing up a project and wasting materials and time. But I try to remind myself that the Master Craftsman Program is in part a program created to help students learn the crafts and arts that regular art school might not have time or tools to cover. Another helpful part about M.C.S. is that they posses tons of scraps available for students to practice on at first if they don’t feel confident in their technique yet. 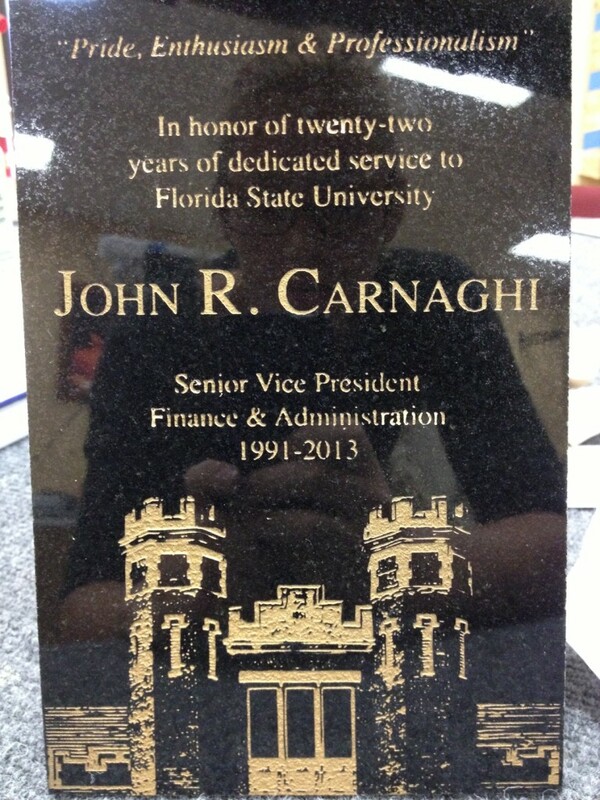 My most memorable part of this internship was being able to create a plaque in memory of Mr. John R. Carnaghi. This plaque will be installed on campus and remain there forever. The Master Craftsman Studio gives you the opportunity to work something that could be a part of your schools campus forever. I highly recommend volunteering and/or interning at the Master Craftsman Studio to any art student who wants to broaden their artistic range. For me, it has changed my view on problem solving, presentation, and creating works of art as a whole.